I’m sure going to miss the old guy… I loved bringing him his McDonalds and peppermint candies. Pinetop would always say “I’m just doin’ the best I can”… and I can’t think of better words to live by. I was recently commissioned to create this drawing of acoustic blues artist Doug MacLeod for his new CD, “Brand New Eyes” released in March 2011. From Frank-John Hadley’s liner notes: “The songs of Brand New Eyes are heavily streaked with altruism, a belief in the bracing power of music to heal. It’s the thread running through the cloth of all the material.” “I see so many people walking around and they don’t see anything good in the world,” MacLeod says of the title track. “But maybe it’s not the world, maybe it’s you. 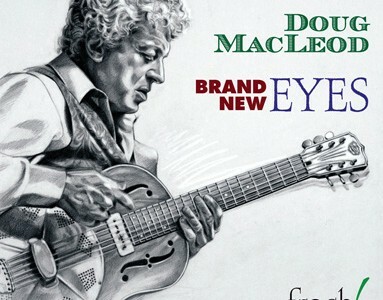 To see some good in the world, put on some brand new eyes.” Go to Doug MacLeod’s website for more information and to listen to his music. To see the original drawing, visit my Portrait page.. I am so excited to see my pencil drawing of Matisyahu featured on his new CD, “Shake Off the Dust…Arise”! I had finished the drawing the day before his concert earlier this year, and when I showed it to him, he liked it so much that he decided to replace the original artwork with my drawing! 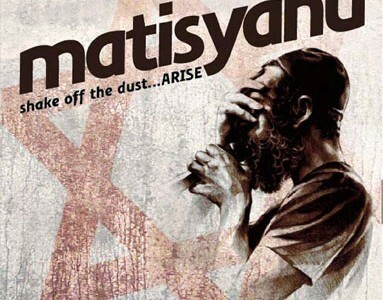 A little history of this CD from Matisyahu’s website: “With little noise or fanfare, Matisyahu released his independent debut record, “Shake Off the Dust…Arise” in October 2004. Six years later, the album has been remastered. This hard to find fan-favorite that started it all contains the original arrangements of “King Without A Crown”, and many others featured on Matisyahu’s first two gold-selling albums.” Go to Matisyahu’s website to find out more about Matisyahu and to listen to some of his incredible music. To see my original pencil drawing, visit my portrait page. It is a real honor to have my painting of Clarence “Gatemouth” Brown featured on the new headstone that was commissioned for him by his family! 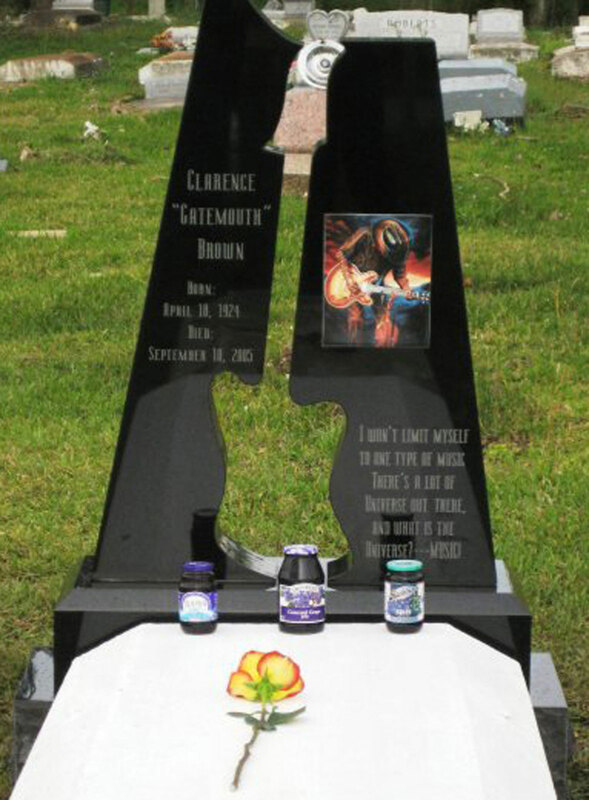 Installed at his gravesite in Orange, Texas, the headstone is made of black granite, and stands over five feet tall with a cut out shape of Gate’s signature Firebird Guitar in the center. The 8×10 ceramic inlay of my painting is just to the right, along with a quote by The Man himself: “I won’t limit myself to one type of music. There’s a lot of Universe out there, and what is the Universe? — Music!” Diagnosed with lung cancer in 2004, Gatemouth fled his home in Slidel during the devastating hurricane Katrina, and died days later. A spokesperson for his estate said of Gatemouth, “He has waited far too long to be honored in his death as he was in life; he was, and still is, bigger than any storm that Mother Nature has to offer.” My original painting of Gatemouth Brown was sold in 2005, but there are still prints available. Click here for more information. To find out more about Clarence “Gatemouth” Brown, visit his MySpace page. I am so pleased to have had the opportunity to display my original portrait paintings in the lobby of the third floor ballroom during this memorable concert at the Portland Art Museum. The exhibit featured my recent painting of Reggie Houston, which was inspired by a photograph I took of him at the Blues for Katrina benefit concert in 2005 in Portland’s Waterfront Park. Reggie, who had recently moved to Portland from New Orleans, was accompanying Tom D’Antoni’s reading of his essay titled “Do you know what it means to miss New Orleans”. When Reggie, overcome by emotion halfway through the reading, began to cry, I had been taking photos and inadvertently caught that moment on film. For the painting, I placed Reggie on Frenchmen Street just outside Snug Harbor where he used to play a weekly gig with Charmaine. A closer look at the painting will also reveal Tom’s hat on Reggie’s collar. To view my painting of Reggie click here. Reggie wrote some very heartfelt comments about my painting, which can be read (here). For more information about Reggie Houston, visit www.reggiehouston.com. Thanks to photographer Bob Gersztyn for writing a great article and interview in the August 10th edition of Blueswax, a weekly email blues newsletter published by Blues Review Magazine. Bob Gersztyn is a photographer and writer in Salem, Oregon. To read Bob’s interview with Diane click here. Visit his blog at Jesus Rocks The World. The Blues Foundation in Memphis presents this annual awards ceremony (now renamed the Blues Music Awards). 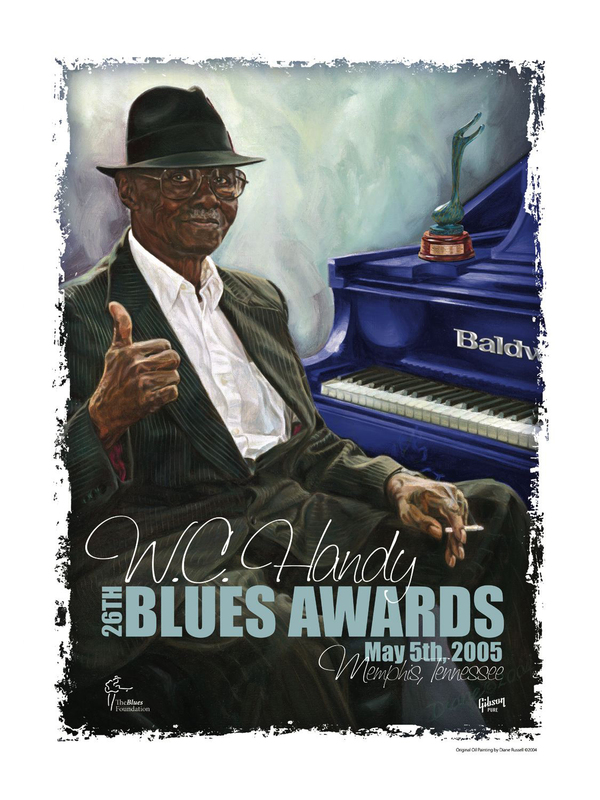 For the 2005 awards show, the Foundation honored Pinetop Perkins with its Lifetime Achievement Award, and my painting of Pinetop was featured on the poster. Jay Sieleman, executive director of the Blues Foundation, had this to say about how the poster came together: “We were familiar with and loved the work of Portland artist Diane Russell, who always sent us postcards featuring her latest blues paintings. I inquired whether she would be interested in creating a piece featuring Pinetop for incorporation into the poster. Talk about serendipity: She had recently finished a painting of Pinetop that no one had seen!” The Handy Award statue needed to be added, so I painted it on a separate canvas and had the two images morphed together in Photoshop to create the final poster. 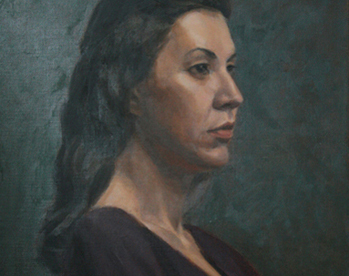 I attended the Awards Ceremony and had a showing of my portraits at the adjacent Marriott Hotel. Click here to find out more about the Blues Foundation. Pinetop Perkins passed away in 2011 at the age of 97. To read more about this legendary musician, visit his website at www.pinetopperkins.com.